–MY original article about defeating a creative block was condensed and included in a newsletter for Plein Air Magazine (read it here). I've already received several emails regarding the paintings and regard such exposure as critical to expanding one's art career. Most requested links to the original article or to relevant posts regarding painting in my style. If you want more articles, type the subject matter into the search field to the right. I have found it to be extremely effective. I use it myself when I need to find older posts. If you want to subscribe to the blog there is a sign-up field further down in the right column. If new readers would like to follow my painting journey on Instagram my feed is here. Instagram is my preferred social media and I use it to simultaneously post to Twitter and Facebook (although I'm rarely if ever on those feeds). 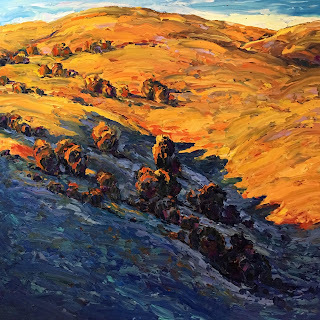 Many thanks to editor Steve Doherty of Plein Air Magazine for selecting my article for inclusion in their newsletter. 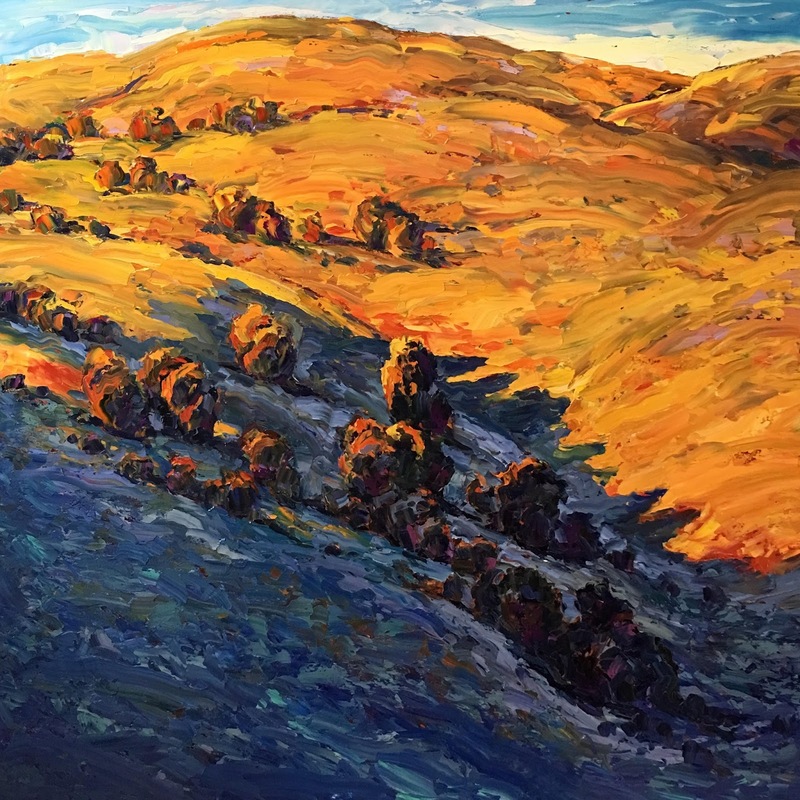 Above: Golden Hills, 48" x 48", oil on canvas.